In terms of region, North America accounted for a major share of the global disposable gloves market in 2017. 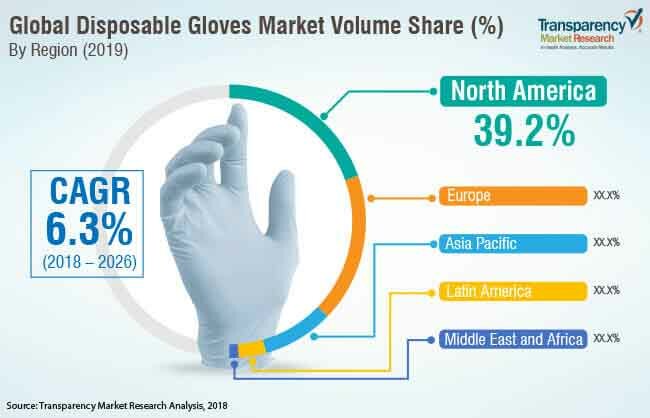 Expansion of the health care sector and rise in the usage of disposable gloves among health care practitioners are likely to propel the disposable gloves market during the forecast period. A ban on powdered medical gloves in the U.S. is propelling demand for nitrile gloves, thus boosting the disposable gloves market. For instance, in December 2017, the Food and Drug Administration (FDA) issued a final rule for banning the use of powdered medical gloves. The rule, which came into effect in January 2018, applies to patient examination gloves, powdered surgeon's gloves, and absorbable powder for lubricating a surgeon's gloves.